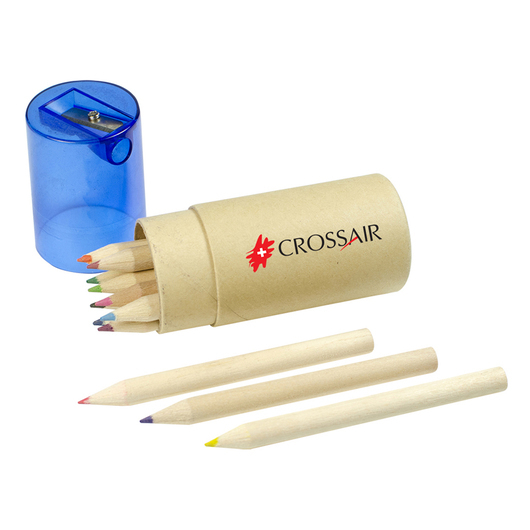 A cylindrical shaped paper tube with coloured pencils and a sharpener. Fantastic for any pencil case or stationary set! 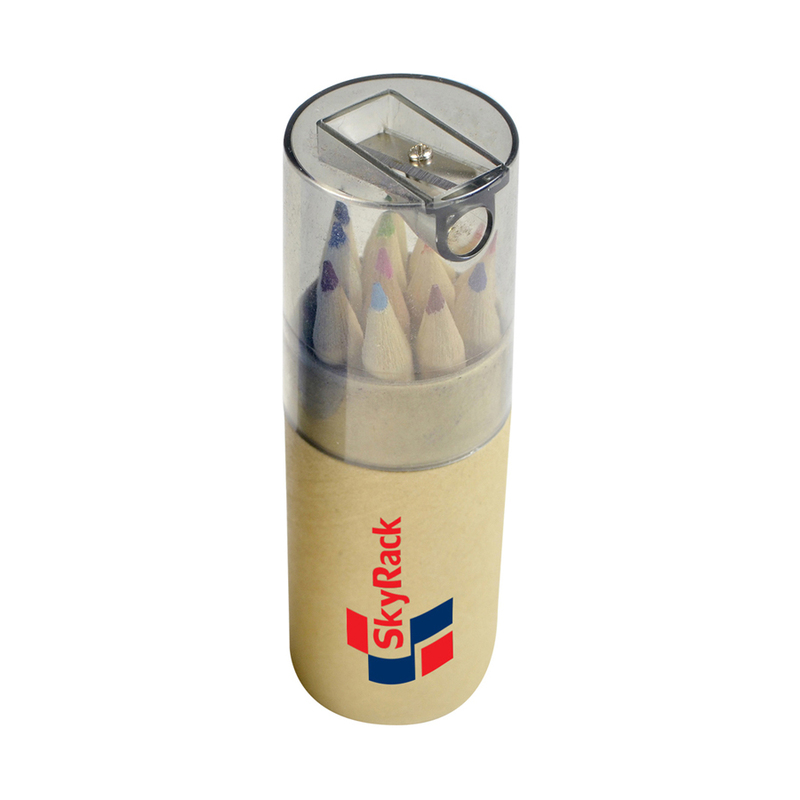 These cylinder shaped paper tubes have a plastic lid and include 12 coloured pencils as well as a sharpener. 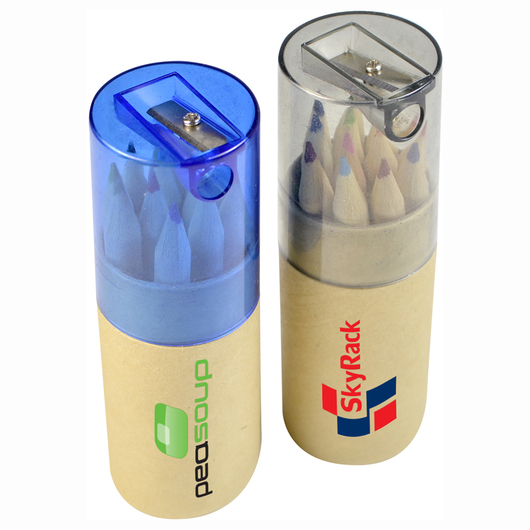 They're compact, easy to carry and look stunning with a printed logo.